Fiio has had a bunch of IEMs available for years now, though they didn’t exactly make a splash at the start — Fiio’s core competency, after all, has historically been in portable amps, DACs, and DAPs. 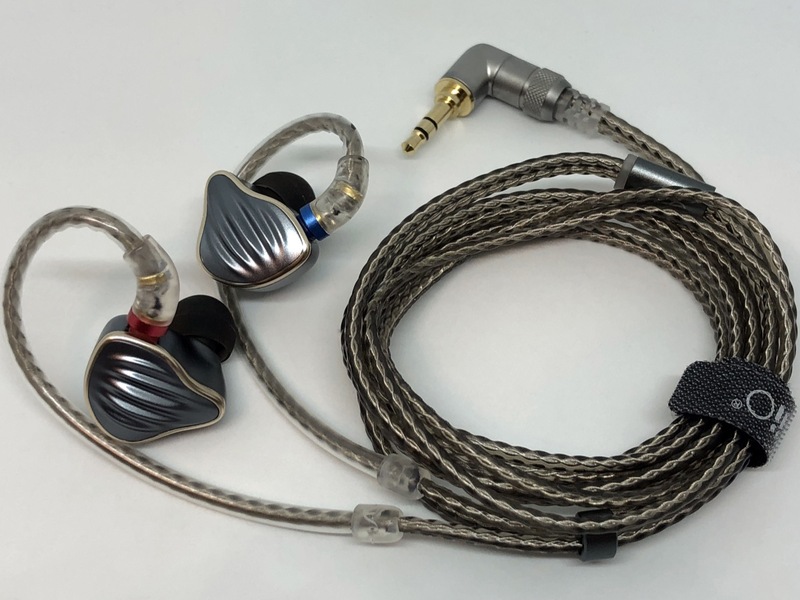 However, we have seen a string of increasingly interesting IEMs from them in the past year, with the likes of the FH1 and F9 Pro offering high-end features and design at low cost. Fiio continues to push themselves with a new flagship: the FH5. 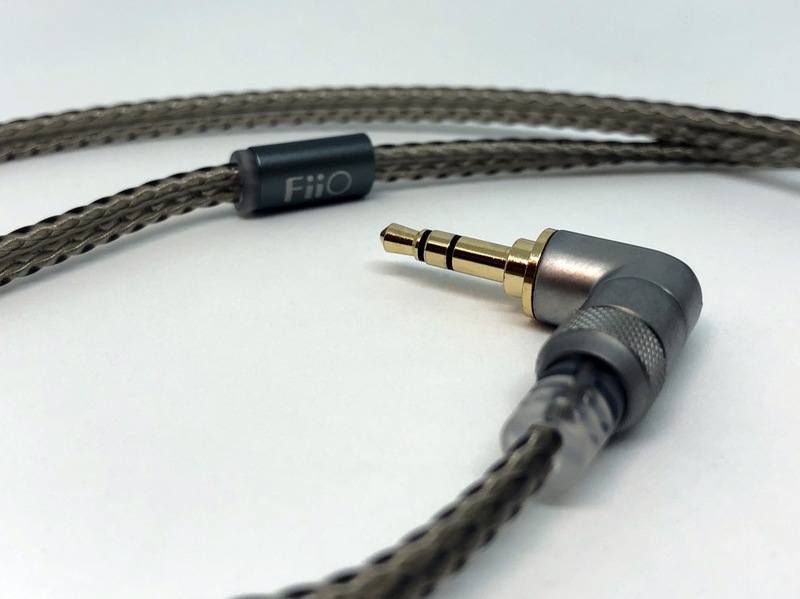 As we have to come to expect from Fiio, the FH5 includes features usually reserved for much more expensive IEMs, and may be Fiio’s best yet. The FH5 has a striking design. Its all-metal housings are made of an aluminum-magnesium alloy in three parts, finished in matte gray and gold. The FH5’s outer shells have an organic-looking ripple design that is in stark contrast to the very tech looks of its competitors. To accommodate their complex internals, they’re relatively large, shaped like a custom IEM to fill the space of the outer ear. The cable included with the FH5 is exquisite. Almost 4 feet long and terminated in MMCX connectors, the FH5’s thick and weighty cable is made of silver-plated copper wire inside transparent TPU insulation. Flexible over-ear guides help the FH5 sit comfortably in the ear. 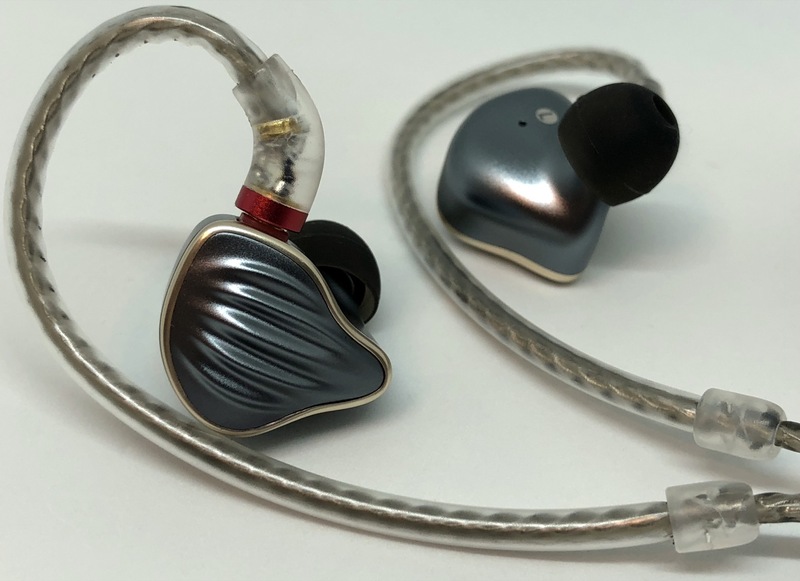 Though the outside of the FH5 are interesting, their internals have a lot more going on: the FH5 is a quad-driver IEM, featuring one 10mm polymer nanocomposite dynamic driver and three Knowles balanced-armature drivers (one ED30262 for midrange, two ED31082 for high and ultra-high frequencies). These transmit sound through three discrete tubes, with the dynamic drivers sound going through a proprietary spiral “S.Turbo” tube that Fiio claims filters out unwanted frequencies and resonances. This is no off-the-shelf/OEM clone — the FH5’s design is seriously impressive. The FH5 is Hi-Res certified, with a claimed frequency response of 15 Hz — 40 Khz. With a sensitivity of 112 mW, they are quite sensitive and we did hear some background noise out of desktop amplifiers, but the FH5 is dead silent out of portable sources. Out of the box, we were struck by the FH5’s bass quantity and extension — it’s big and palpable without being exaggerated. We use The War On Drugs’ “Ocean Beneath The Waves” to test headphones because there is so much about the song that a headphone can get wrong, but the FH5 is articulate enough to reproduce the air in the snare drum and handle very forward bass guitar without sounding muddy. The FH5’s is a generally warm sound, with a midrange that’s just a bit soft in the midrange for our tastes — like an upgraded FH1, very different than the F9 Pro — but its refined easy-listening character was still something we enjoyed. 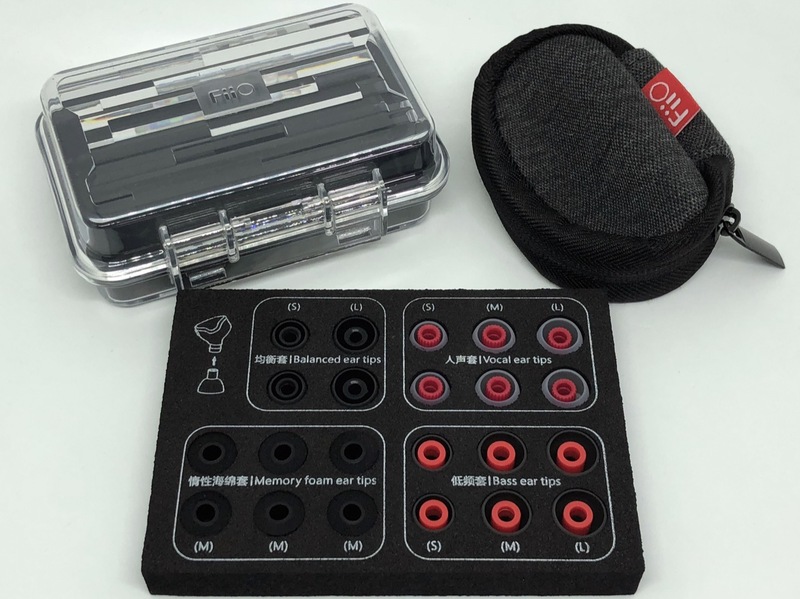 Fortunately, Fiio enables the user room for some customization — four included sets of ear tips vary shape and materials to tweak that can teak the FH5’s sound for vocal, balanced, or bass, and the soft-but-isolating memory foam. We had only one usability issue with the FH5: the “Balanced” ear tips don’t quite fit the FH5’s sound channel perfectly, so after a week of use they become slick and prone to dislodging while in the ear. As much as we’d like to evaluate each headphone in a vacuum, it’s impossible to avoid talking about value for dollar. Fiio has always been generous with accessories — no exception here, as the FH5 comes with lots of ear tips, a hard carry case, and a soft zippered case — the FH5 also offers outstanding value in its design and sound.